Adel Djalal, joined NewBridge in February 2016. Before joining NewBridge, Adel assumed several roles and responsibilities, starting with the role of Regulatory Affairs Manager at Rhone Poulen Rore, France, then relocated from Paris to Dubai in September 2000 where he established the first Regulatory Affairs Department of Aventis Gulf and Saudi. After the acquisition of Aventis by Sanofi, Adel continued to lead the Regulatory Department of the new organization. In May 2006, he took over a new role as Director Supply Chain including the responsibility the first Sanofi Aventis distribution center established in the free zone of Jebel Ali end 2006. In March, 2009, he joined Amgen as Head of Regulatory, Safety and Compliance for the region of Middle East, Africa &Turkey, where he contributed in the setup of the Regulatory Affairs department, facilitating access of innovative products to patients and expansion of the footprint of Amgen in the region. 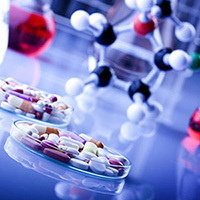 Adel holds a PharmD Degree from the University Of Constantine in Algeria and Masters in Quality Assurance of Medicines from the University of Descartes (Paris V) – France.